Mossberg is one of the most well-known and trusted shotgun manufacturers, so when they unveiled the new 590 Shockwave variant, there was a lot of hype. Scattergun lovers can’t get enough of Mossberg and not just because of their high-quality reliability and performance. Mossberg is so beloved because they’ve created a spectacular array of products that won’t break the bank, and that is something praiseworthy. If you aren’t already convinced of its impressiveness, the redesigned 590 has already been named “Shotgun of the Year” by one of the industry’s most-trusted establishments. So let’s take a closer look at this sweet pump-action. If you’ve seen the Mossberg 590 Shockwave you know that it is no ordinary firearm. Like most Mossberg guns, the new 590 variant is pretty impressive, but the real beauty is in the build and design. The truly remarkable thing about the new shotgun is how they were able to construct it so that it would just barely pass the Bureau of Alcohol, Tobacco, Firearms & Explosives’ Gun Control Act (GCA) regulation, making it a non-NFA weapon. 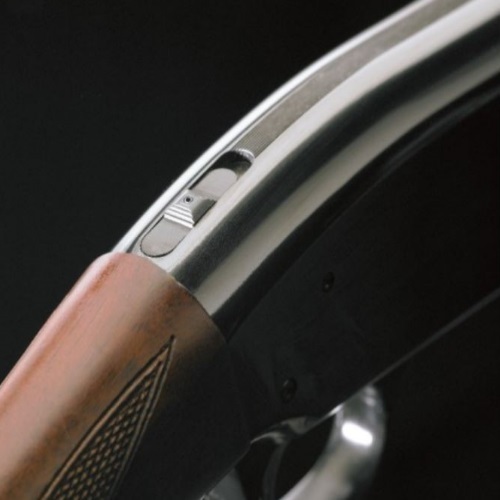 While short-barreled shotguns are generally severely limited and regulated by the government, Mossberg wanted this gun to have the most unregulated federal status as possible. Nevertheless, some states have outlawed the shotgun based on their own misguided agendas. 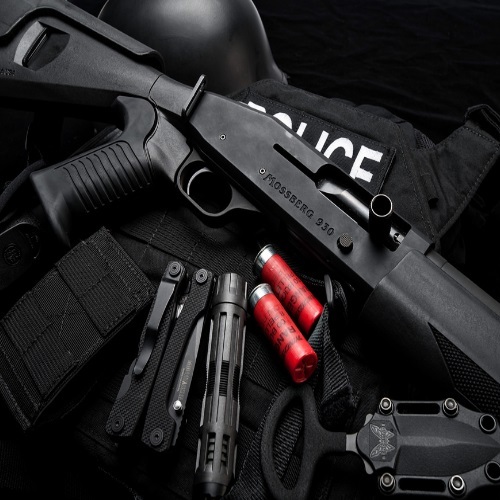 Because the 590 Shockwave was designed to be the ultimate tactical defense weapon, Mossberg focused most of their attention on the “birds head” pistol grip. This innovative polymer grip not only provides users with the feel of a PDW (personal defense weapon), it also gives the shooter a solid grip and effectively minimizes perceived recoil. 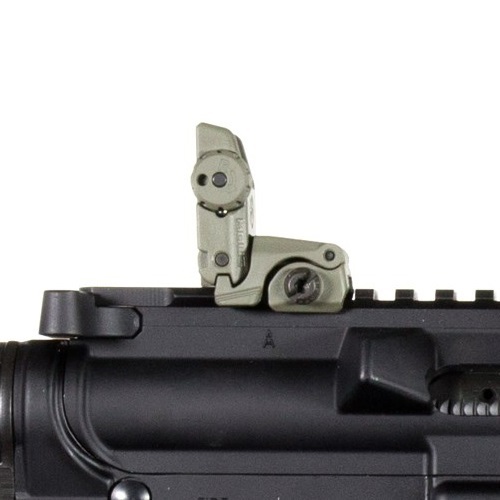 Furthermore, they also had to scale down the receiver and redesign the forend for increased close quarters effectiveness, and it culminated in a true work of art. One of the most noticeable additions on the Shockwave is the strapped forend, which aids control, but more importantly, keeps the shooter’s lead hand away from the muzzle. Like most Mossbergs, the 590 Shockwave is simply ultra-reliable, fun to shoot, and supremely user-friendly. The American shotgun manufacturer designed this gun to be the ultimate home-defense and tactical weapon, and they managed to do so in a non-NFA formatted 14” barreled package. Even considering it was built to be a defense shotgun, the 590 Shockwave has pretty decent firing range and smooth handling. Lastly, you can’t forget about the classic Mossberg performance-enhancers like the smooth operating anti-jam elevator, positive steel-to-steel lockup, twin action bars, and of course, dual extractors. By looking at the Mossberg’s spec sheet and long list of positive reviews, you might think it markets for probably close to $1,000. Nevertheless, in true Mossberg fashion, the 590 Shockwave will only put you back around $500! Simply put, there are few firearms on the market which offers as much for this little. When it comes to its availability, the new scattergun can get a little tricky. While the Bureau of Alcohol, Tobacco, Firearms & Explosives classifies it as a non-NFA firearm, some states have their own ban on this style of gun. Keep in mind that as with any pistol grip firearm, you have to be 21 years or older to purchase. As far as I know, the Shockwave is available pretty much everywhere except for California, New York, Massachusetts, and Ohio. That being the case, you can expect to see this Mil-Spec 3443-approved pump-action platform shotgun in your local gun shops, sporting goods stores, and online distributors. Although the 590 was meant to be light and simple, Mossberg drilled and tapped their anodized aluminum receivers for optics and accessories. If you do decide to pursue aftermarket options for your Shockwave, there are a few tactical upgrades which really stand out to me. While it may not fit your standard definition of a holster, the Voodoo Tactical Breacher’s Shotgun Scabbard is a great way to store your new tactical shotgun. These top-rated carrying cases are offered in three different colors, offer ambidextrous carrying, and effectively protect your firearm from damage. 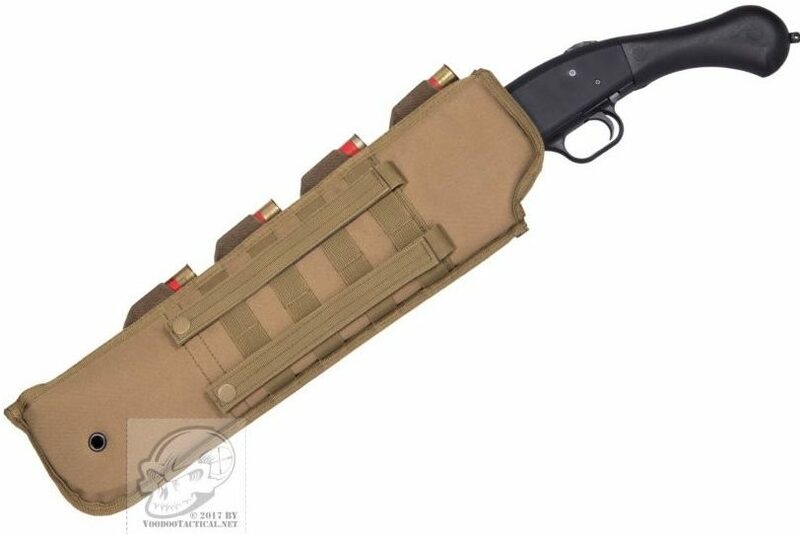 Similarly, Mossberg also markets the NC Star tactical shotgun scabbard which, like the Voodoo Tactical model, only costs around $20. If you’re looking into the new redesigned short-barreled Mossberg shotgun, there’s a good chance you are going to use it for defense. With that being the case, it’s definitely worth considering a quality sling. In general, it’s hard to beat Magpul or Vikings Tactical but I really love the Blackhawk shotgun sling with their 15 extra cartridge spots. Even though the Mossberg Shockwave isn’t the only short-barreled shotgun on the market, it’s arguably the best value. Nevertheless, many firearm enthusiasts like the Remington Tac-14, especially since it’s even smaller than the Mossberg. It’s not even so hard to believe why the Tac-14 has garnered such a following knowing that it’s based on the Rem 870, which is one of the best-selling shotguns in recent history. Overall, the Mossberg 590 Shockwave is one of the most exciting shotguns to hit the market in years. In my experience, the innovation never really ends with this gun and I think it would be a pleasure for anyone to own. Whether you’re looking for a new range toy, tactical firearm, or home-defense gun, you ought to consider the Mossberg Shockwave. A little disingenuous to compare the Remington Tac-14 DM with the detachable 5 round magazine to the tube mag version of the Mossberg Shockwave. A real comparison would show that the tube mag version of the Tac-14 holds only 4 rounds giving the capacity edge to mossberg’s 5 round tube. Or you could have compared the Mossberg’s detachable mag Shockwave with its 10 round standard capacity.